Seiji Ozawa Music Academy Orchestra documentary is on the screen every weekend at ROHM Theare Kyoto 3F! The special documentary on Seiji Ozawa Music Academy Orchestra Opera Project is on the big screen every weekend at ROHM Theatre Park Plaza 3F “Music Salon”, where currently the Seiji Ozawa Music Academy Exhibition is taking place. This documentary was shot in 2016, when the Opera Project was tackling J. Strauss II: Die Fledermaus. 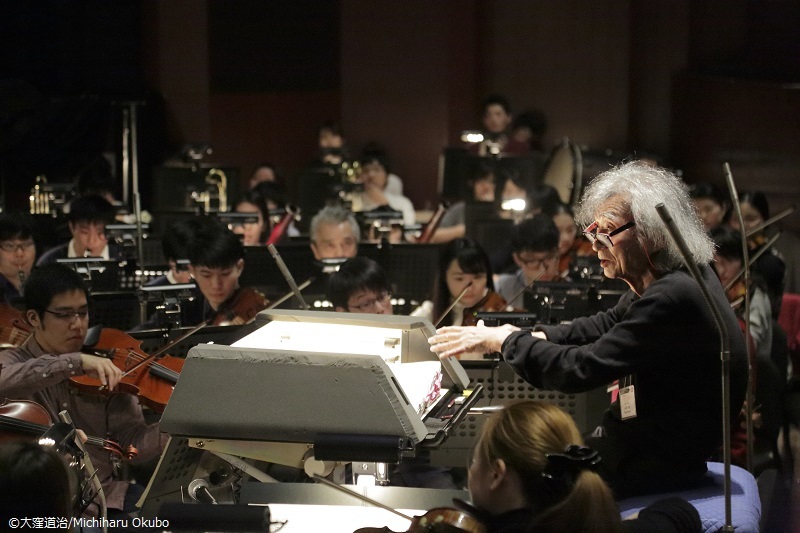 You can take a look how the Artistic Director Seiji Ozawa is teaching the young and aspiring international musicians to be better artists, and better orchestra. The documentary was aired in 2016 on ETV.